The chain is wrapped one and one half turns around the batten and attached back to the thimble at the end of the lift line with a forged shackle. Adjustment is made by connecting the shackle into a link along the return side of the chain. 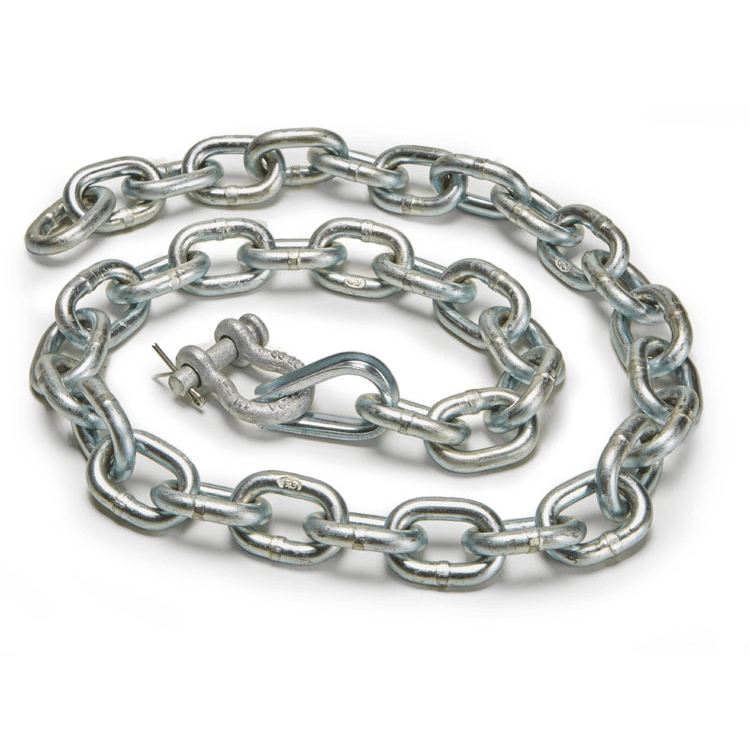 RWL: RWL is maximum load that can be applied to the trim chain which is in “like new” condition and has been properly installed, maintained, and operated.